Mosquitoes infected with the Wolbachia bacteria, which fail to transmit the dengue virus, spread through the population when released in the wild. 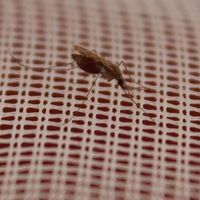 A bacterium called Wolbachia can stop the transmission of the dengue virus in mosquitoes and invade wild populations of the disease-carrying insects, according to two studies publishing today (August 24) in Nature. The new approach could be used to reduce exposure for the 2.5 billion people who live in endemic regions, and could potentially be applied to other mosquito-borne diseases, such as malaria and yellow fever. “This is a big step and it is very exciting,” said Zhiyong Xi, a medical entomologist at Michigan State University who was not involved in the study. 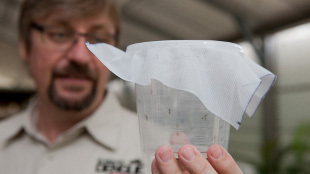 While disease-resistant mosquitoes have been created in the lab previously, this is the first time they have taken root in the field, he said. 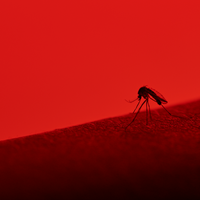 Several years ago, researchers found that infecting lab mosquitoes with a strain of Wolbachia reduced transmission of dengue, a mosquito-borne virus endemic throughout the tropics that causes high fevers, rashes, and joint pain. How exactly Wolbachia achieves this is still unclear—it could be that Wolbachia hogs the precious fatty acids that viruses need to replicate, or that it primes the immune system to recognize the virus, said Scott O’Neill, a biologist at Monash University in Australia and co-author of the study. The resistant mosquitoes raised hopes that the method could be used to reduce the spread of mosquito-borne illnesses in the wild. Getting the Wolbachia established into a wild population of mosquitoes proved difficult, however. Wolbachia don’t spread from the environment, but are inherited from infected mother to offspring via germ cells, O’Neill said. While researchers could infect the first generation of mosquitoes by injecting their tissue with the Wolbachia, without being able to infect their eggs, the bacteria would not be passed on to successive generations, preventing their spread through the population. 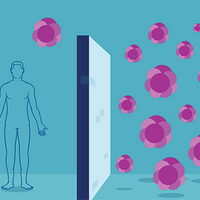 Now, O'Neill and his colleagues report on a method that allows them to infect the reproductive tissue. The team grew Wolbachia in Drosophila, extracted infected cells and expanded them in culture, then injected them into germ line cells in embryos of Aedes aegypti, the mosquito that carries dengue. Lab mosquitoes infected in this way did not transmit dengue. More importantly, the infected mosquitoes could pass on Wolbachia to their offspring, suggesting that the bacteria would spread through a mosquito population if the infected insects were released into the wild. Sure enough, when the team released over a hundred thousand Wolbachia-infected insects into two towns near Cairns, Australia, over ten weeks, the infection began to spread. After a few months, the infected mosquitoes expanded their range, and between 80 and 100 percent of the mosquitoes trapped in the cities carried the bacteria. Wolbachia’s ability to spread resulted from manipulation of the mosquitoes’ reproductive success: uninfected females that mate with infected males produce nonviable eggs. Because the bacteria are passed from mother to offspring, this tactic essentially kills non-infected offspring, while the offspring of infected females, which receive the bacteria, survive. Over time, that “indirectly allows the bacteria to increase in frequency from one generation to the next,” O’Neill said. The current study couldn’t assess whether dengue rates actually went down, however, because the researchers released infected mosquitoes in a region of Australia that only has sporadic outbreaks of the disease. They next plan to test the technique in areas such as Indonesia and Vietnam, where dengue occurs more frequently, providing a more reliable measure of changes in dengue prevalence, O’Neill said. Using infected mosquitoes could provide a cheap and sustainable way to reduce transmission of disease, which is important because many endemic regions are located in poor countries, said Xi. “Once you put them in, the bacteria can spread by themselves,” unlike pesticides, which need to be reapplied constantly, he said. Furthermore, the strategy holds little risk for the environment, O’Neill said, because Wolbachia is naturally carried by 70 percent of all insects. The method could also be developed to reduce transmission of other viruses, and potentially even the malaria parasite carried by Anopheles mosquitoes, Xi said. 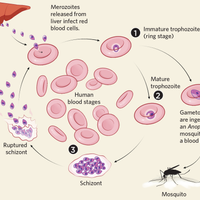 Research has already shown that Wolbachia infection reduces malaria transmission among Anopheles mosquitoes in the lab, but the trick is getting the bacteria to be stably passed on in that genus as O’Neill and his colleagues have just done with Aedes. T. Walker, et. al, “The wMel Wolbachia strain blocks dengue and invades caged Aedes aegypti populations,” Nature, doi:10.1038/nature10355, 2011. A. Hoffman, et. al, “Successful establishment of Wolbachia in Aedes populations to suppress dengue transmission,” Nature, doi:10.1038/nature10356, 2011. Correction: This story has been updated from its original version to correctly reflect that malaria is caused by a protozoan, not a virus. The Scientist regrets the error.